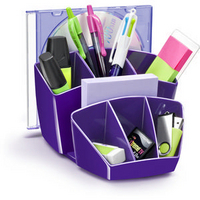 Keep your desk organised and stay productive by tidying your documents and papers away into an effective organisation system. 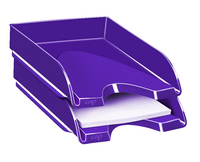 This purple gloss letter tray from CEP Pro will add a vibrancy to your desk while providing a storage system for your documents. 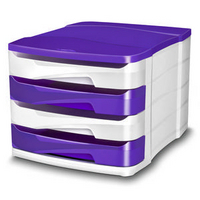 Holding papers and files up to 240 x 320mm, the trays can be easily stacked together vertically or in a staircase formation, and the wide, cutaway front opening makes retrieval and storage of documents even easier.